With the automatic combined winding machine model AVFP2it is possible to package cardboard pallets in a completely automatic way by binding them, even crosswise, with one or more thermo-welded polypropylene or polyester straps as well as wrapping them with CCDPE extensible film. 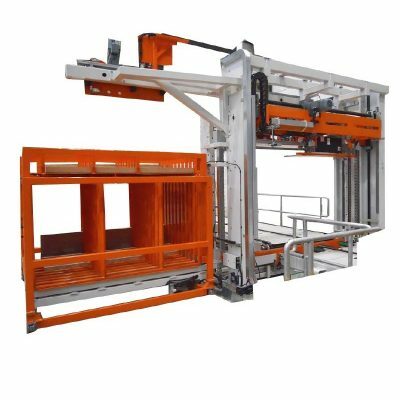 The machine consists in a sturdy structure which supports all the combined winding machine’s components. 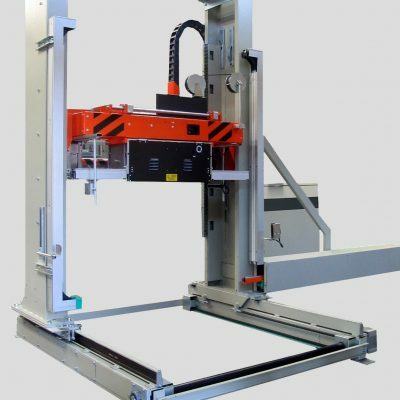 With 2 heads (our own international patent) which automatically execute the strap feeding, recovery, tensing, welding and cutting operations. 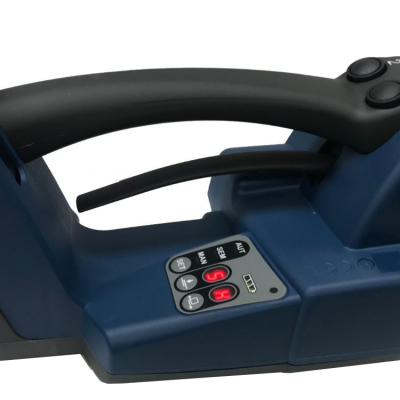 Strapping head motion group complete with pressing plate with an adjustable force of up to 2000 Kg. 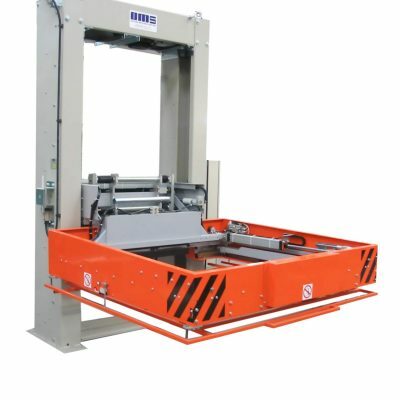 The machine is equipped with an electronic system to control the pressing force, which can be regulated from the maximum available value down to a value close to zero, with the electric drive managed by an inverter and controlled by an encoder. The positioning of the plate is automatically determined according to the height of the pack to be strapped. The cycle is completely automatic. 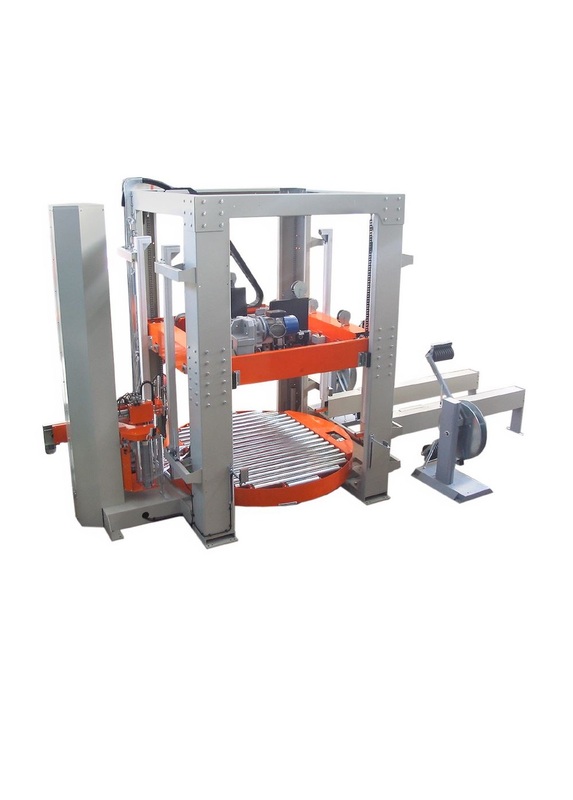 Rotary table with a 360° revolution and incorporated roller conveyor, diameter of 2200 mm., diameter of rollers 76 mm, pitch of 85 mm., height from the ground 380 mm. Sturdy structure, galvanized rollers with welded control pinions, ball bearings with dustproof shield and lubricated for life, motor reducer fixed to the frame, ½” transmission chains. Speed 12-13 m/min. 2 strap feeding groups with automatic strap recovery. Coil holders and strap tear prevention unwinding device. 2 automatic lance groups for bindings inside the pallet. Aluminium support column designed by us with coil holder and inverter controlled variable upward/downward speed. 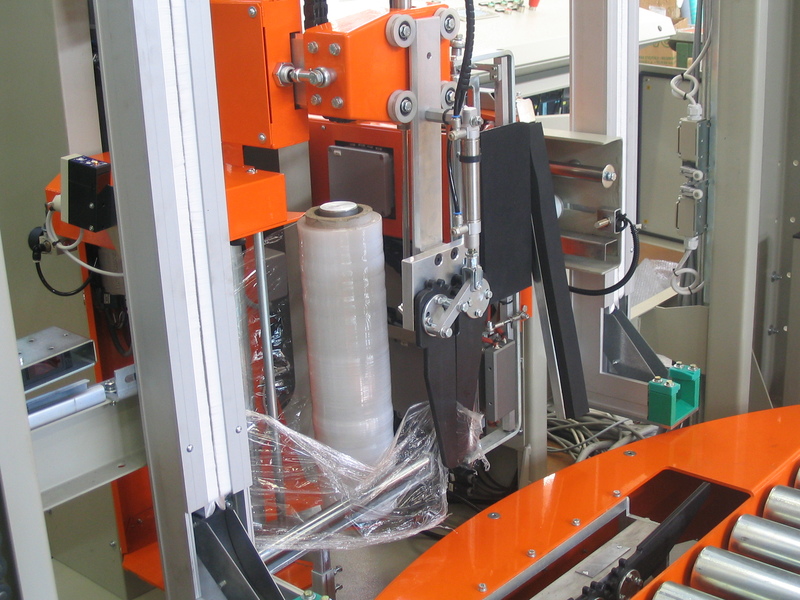 Safe automatic clamp group which first takes hold of the film and then cuts it and welds it with a hot pad. 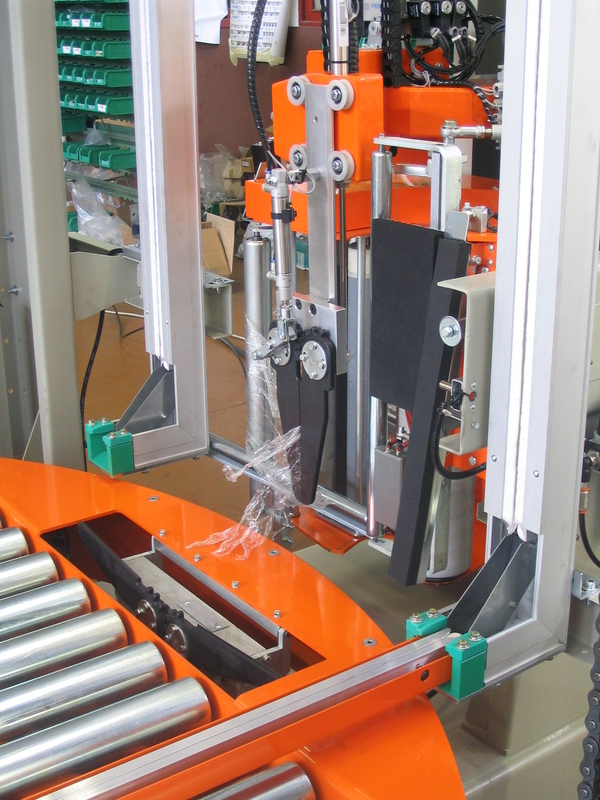 Motorized pre-stretching to minimize waste and maximize winding performance. Inverter controlled progressive start and stop, programmable RPM’s.